I generally find women easier to buy for than men, but that’s only a general rule and sometimes it’s good to have a little bit of extra inspiration. 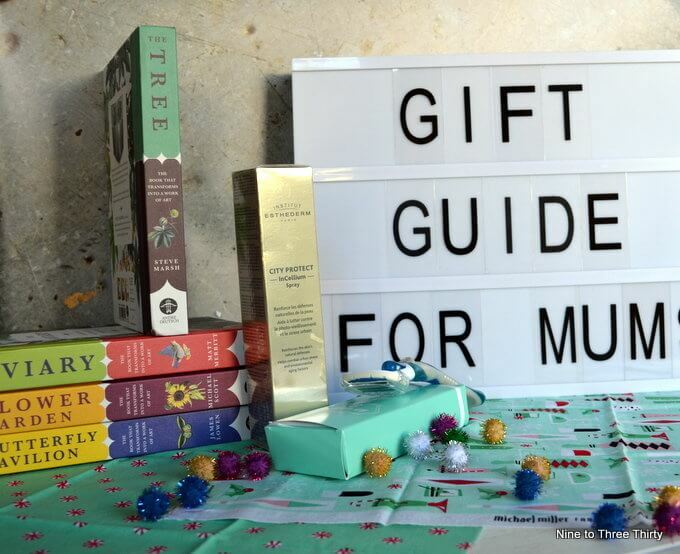 I have pulled together a range of items from books to beauty for you to have a look at ahead of your gift hunt. How about Esthederm City Protect? It’s certainly a treat for the skin. It works by strengthening the skin’s natural defences to protect against environmental stressors in everyday life (like sun, pollution, urban stress). It also boasts exclusive Triple youth protection: Global cellular protection using patented intracellular protection technology (InCellium). It’s formulated to prevent photo-ageing and dark spots and fight factors that damage collagen and slows the appearance of wrinkles and loss of firmness. Pamper her skin with a razor designed especially for women. The Dorco Eve 6 Razor is a dual, 3-blade cartridge design that hugs every curve and shaves ultra-close, the pivoting head with brush finger gives a slight massage as it glides across your skin, and the moisturizing band with Aloe, Vitamin E and Lavender provides instant relief and nourishment immediately upon shaving. The open razor blades design makes it a snap to clean any left-over debris, so your next shave will be just as effective as your last. And since the brush finger raises each hair as it goes, you won’t need to use your EVE as often as you would other women’s razors. I really love these beautiful books from Paperscapes. They are available from Carlton Books and are lovely to look at as well as being informative and interesting to read. Press-out sections enable you to reveal the outlines of the butterflies or flowers or trees and transform your book into a work of art. They are the sort of books you can enjoy for a lifetime. 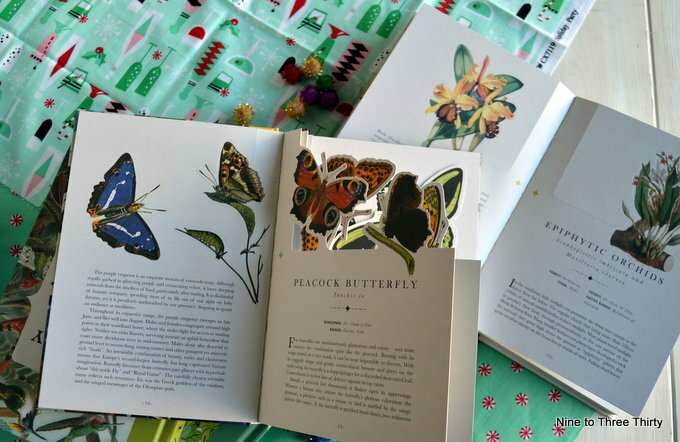 My personal favourite is this gorgeous book called The Butterfly Pavilion. This striking book displays and describes a kaleidoscope of butterflies. Exquisite illustrations accompany a lyrical text by nature writer and expert James Lowen. Busy mums appreciate things that make life easier and save time. Gadgets are a great way of doing this and they are fun to use too. On my Christmas wish list this year is the Amazon Echo. For those who don’t know about the Amazon Echo already, it’s a smart speaker. Amazon Echo connects to Alexa-a cloud-based voice service-to play music, make calls, set alarms and timers, ask questions, check your calendar, weather, traffic and sports scores, manage to-do and shopping lists, control compatible smart home devices, and more. Just ask for a song, artist or genre from Amazon Music, Spotify, TuneIn and more. With multi-room music, you can play music on Echo devices in different rooms, available for Amazon Music, TuneIn and Spotify; Bluetooth not supported. Echo can also play audiobooks, radio stations, news briefings and more. You can call or message anyone hands-free who also has an Echo device, the Alexa App or Skype. Also, quickly connect to other Echo devices in your home using just your voice. A new diary is always something that I look forward to at the start of each year. Diaries don’t have to be boring though and the Dodo Pad one is far from that. Apart from all the essentials there’s plenty of room for doddling and note taking. Humorous illustrations, quotes and unusual anniversaries scattered throughout to bring a smile to your face as you work your way through the year. What adorable books! So pretty. We have just treated ourselves to a new Echo after receiving one as a gift last Christmas. We use it so much we had to buy another to keep upstairs. Lovely gift ideas. The books from Carlton Books are beautiful, never seen anything quite like them. Might add them to my Christmas wish list. I’ve bought the family an Amazon echo as I think we will all benefit from having one in our home.